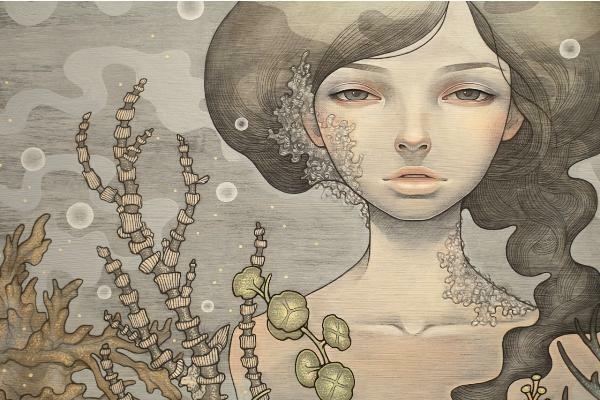 Audrey Kawasaki – Sisters – Audrey Kawasaki is exceptionally skilled in drawing, while creating beautiful, surreal scenes filled with lovely female characters. Established on the grounds of modernist Surrealism, contemporary Surreal art is a style widely followed by thousands of artists. 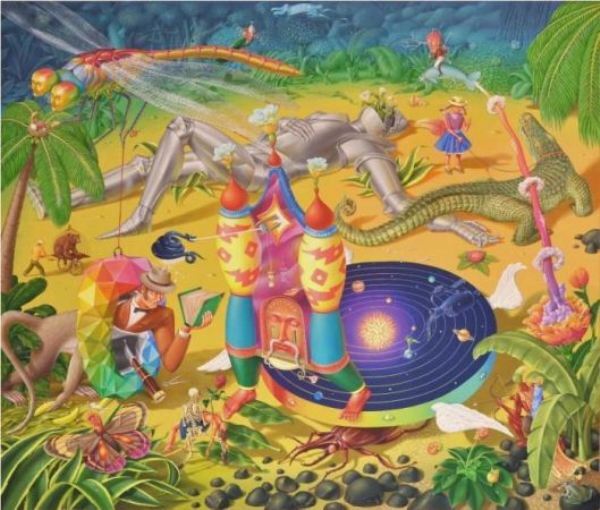 Although the course of art changed and evolved through history, Surreal Art never ceased to exist, while today it’s undergoing a revival in Pop Surrealism and similar movements. 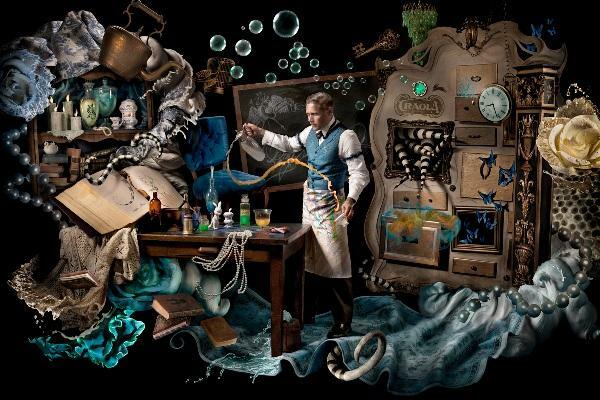 Original Surrealism started in the second decade of the 20th century as a literary movement. Fascinated by the idea of automatism or automatic writing, a group of artists led by Andre Breton soon became obsessed with automatic drawing as well. They invented a series of new techniques, such as Cadavre Exquis or photo-montage. 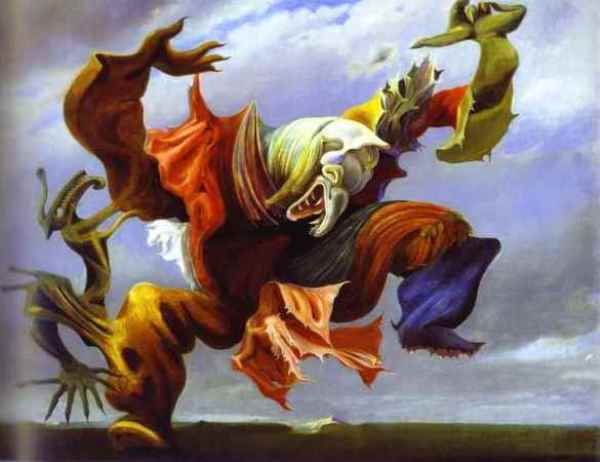 Belonging to the first generation of Surrealists, there were Max Ernst, Andre Masson, Joan Miro and Man Ray, but the movement reached its painterly peek with Rene Magritte, Yves Tanguy and, particularly with, Salvador Dali. Mexican artist and rebel, Frida Kahlo, is stylistically often associated with the movement, although her art is largely intimistic and engaged. 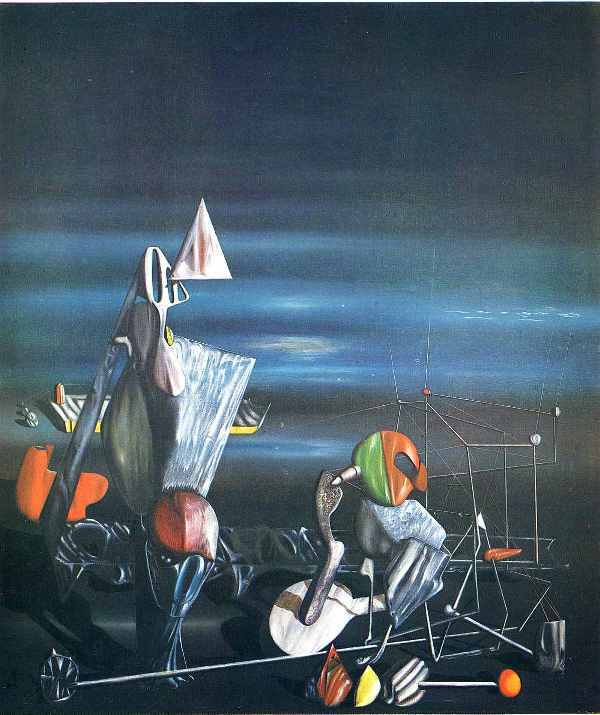 As the Second World War brought many new movements, Surrealism was either abandoned, or great figures of the style altered their visions. Some of the artists who remained close to the movement were Conroy Maddox, Roberto Matta, Dorothea Tanning, Louise Bourgeois, to mention a few. 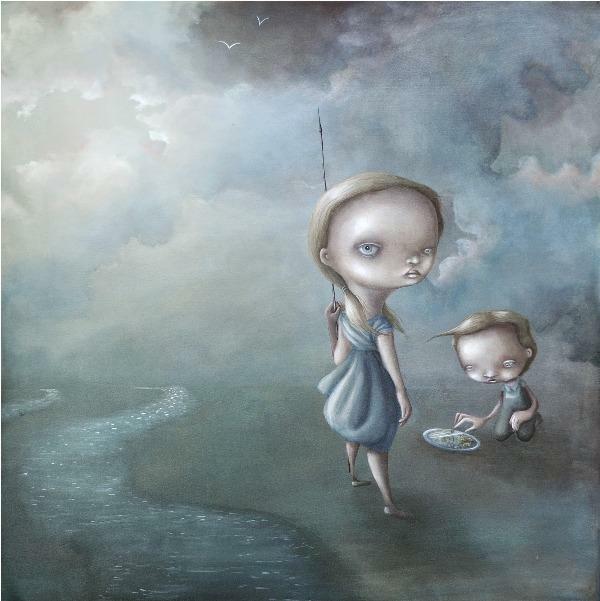 The art of the unreal stayed alive until the Postmodern age, as one of the favorite foundations of today’s eclecticism, visible in direct descendants such as Pop Surrealism or alternative expressions such as Psychedelic Art or Outsider Art. 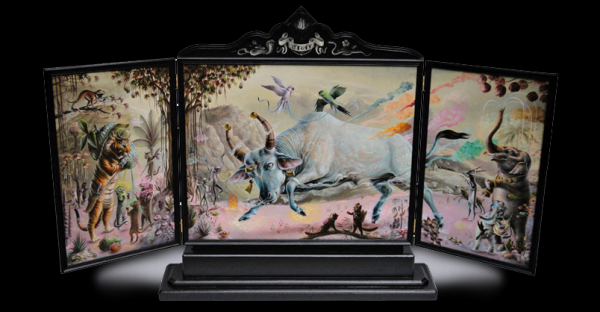 Perhaps the most obvious contemporary outlet for Surreal Art is Pop Surrealism, a movement that appeared in the 70s in California. It arose inspired by alternative, pop, punk and comic culture, often spiced with a healthy dose of humor. As kitsch entered officially recognized artistic circles, it affected the lowbrow Pop Surrealistic scene, and today, there are many creatives who create merging the two ideas. Their skills are often stunning, while their polished, likeable, vivid expression is gaining more and more admirers. 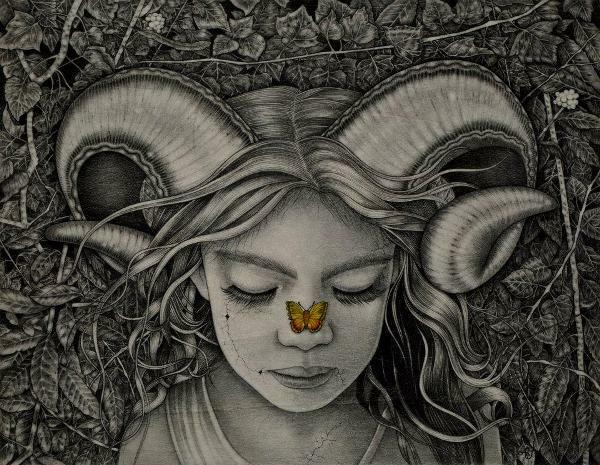 Alessia Iannetti is a phenomenal draughtsman, who creates surreal art filled with beautiful and strange imagery. 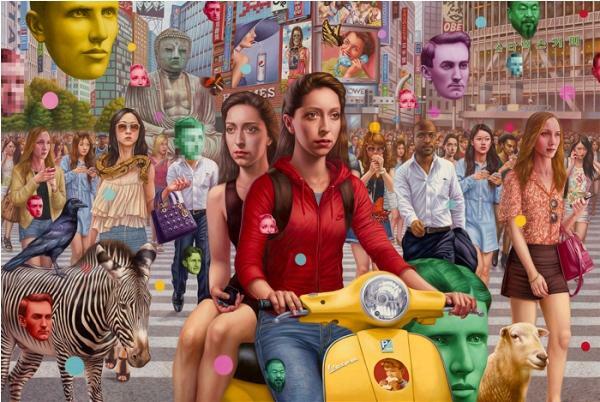 Alex Gross makes normal scenes riches and surreal in his digital-three dimensional way. 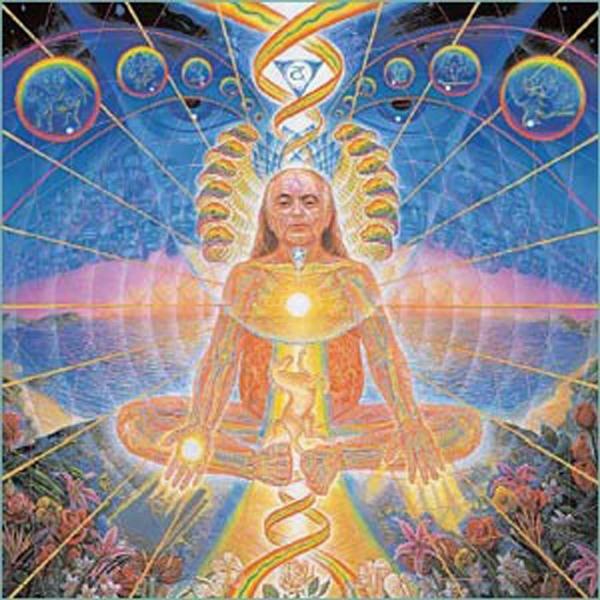 Alex Grey is a Psychedelic art representative, connected with the New Age movement and spiritual art. 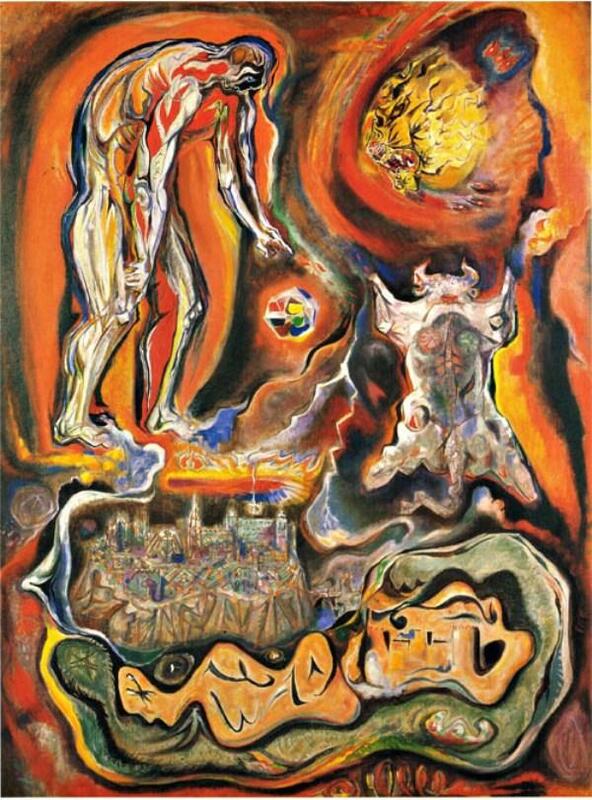 Masson also belonged to the original early Surrealist movement, with his almost Fauvist, unreal depictions. 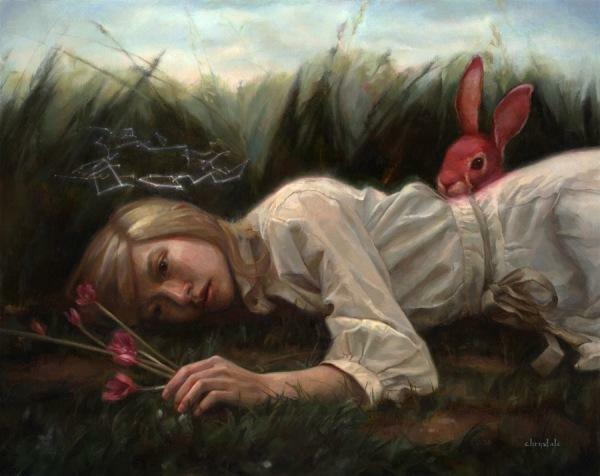 Pop Surrealist artist Anne Angelshaug has a wonderfully eerie illustrative style, with developed big-headed characters. 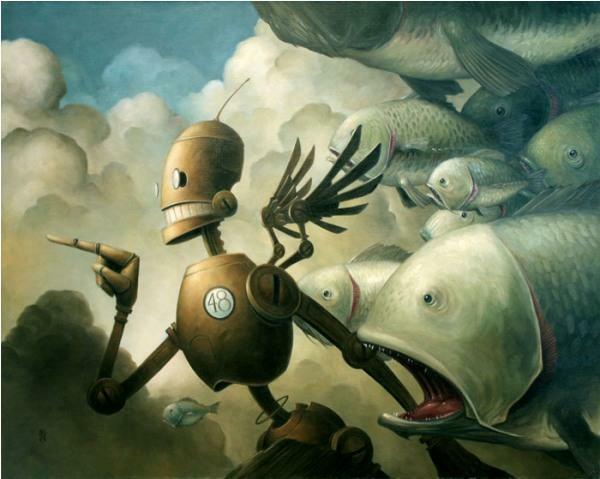 Brian Despain is a famous Pop Surrealist artist, known for his robotic characters in classical roles. 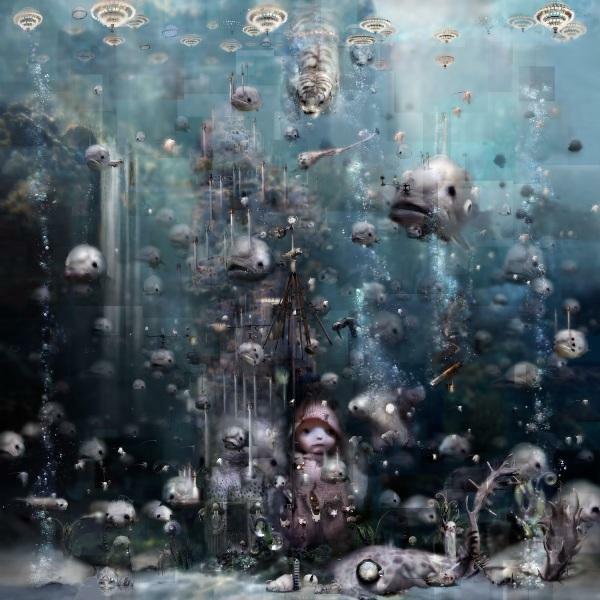 Chris Berens is a Pop Surrealist with elaborate, rich pictorial style. 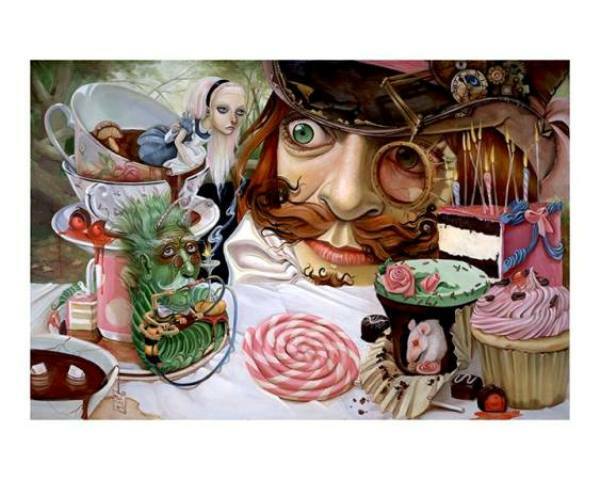 Christos Tsintsaris also renders an Alice in Wonderland related topic. 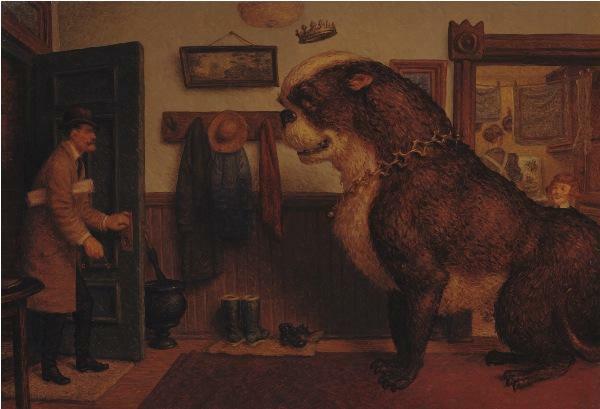 Her art is more fantasy, but painting skills of Chrystal Chan are rather traditional. 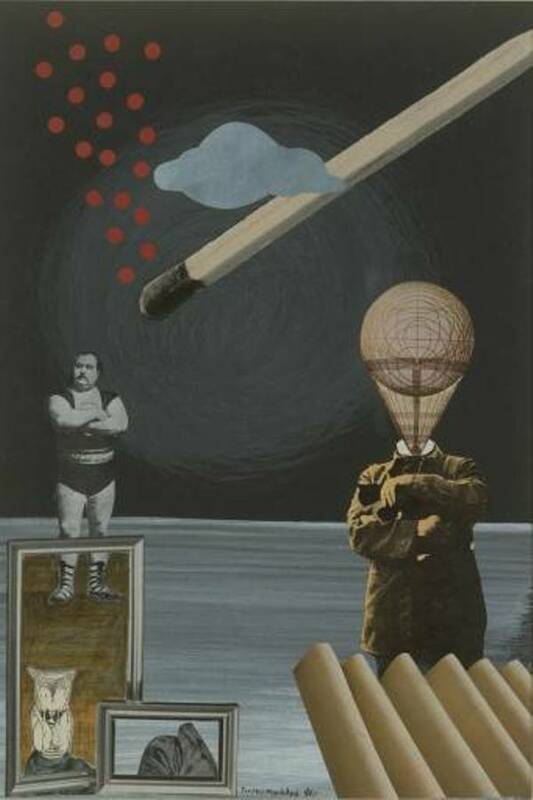 One of rare British followers of European early Surrealism, who stayed true to the movement even after the war. 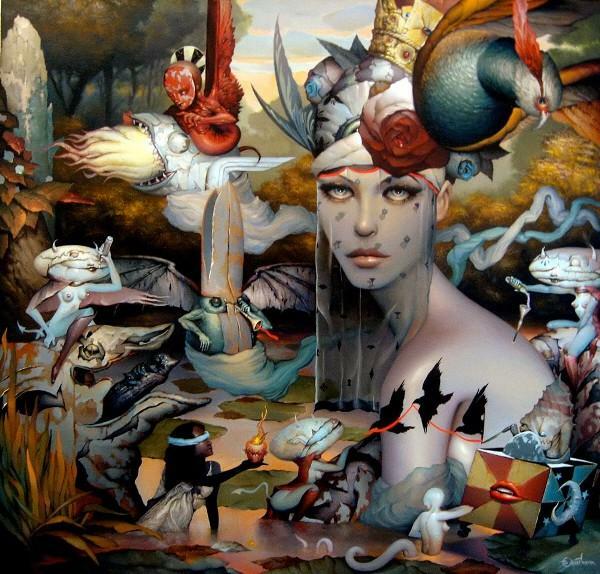 Dan Quintana is a contemporary surrealist from California, dedicated to depicting beautiful women in invented environments. Dorothea Tanning is the follower of Surrealism long after the Second World War. 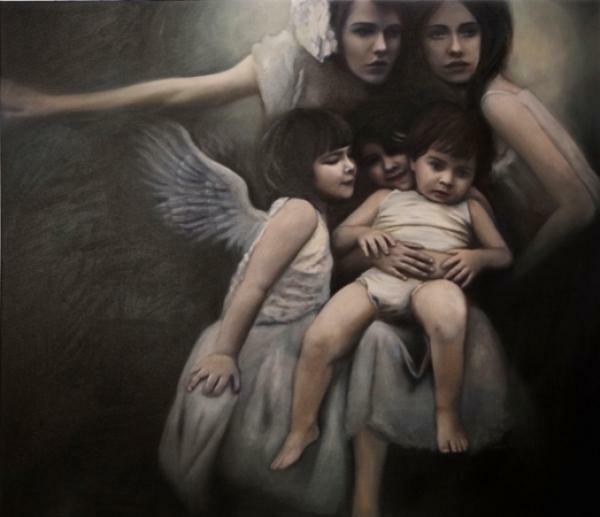 Elena Cermaria is an Italian artist, who depicted this angelic representation of a family. 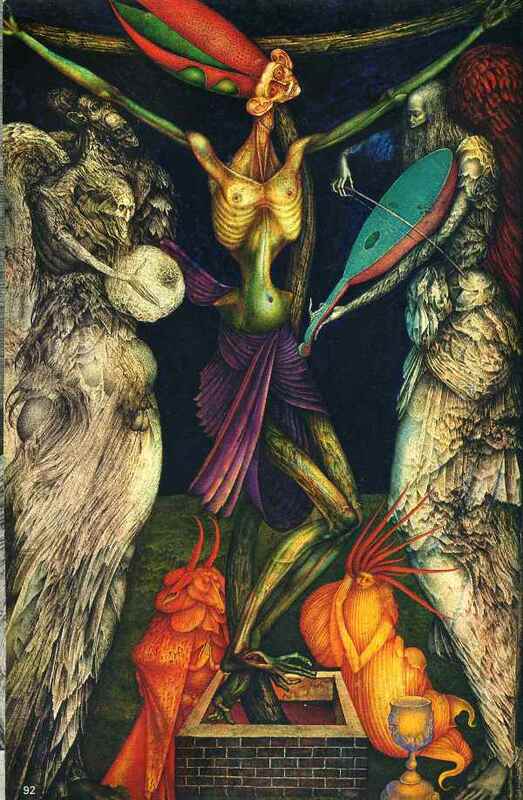 Ernst Fuchs is a late Surrealist, who painted religious subjects in a different, imaginative manner. M.C. 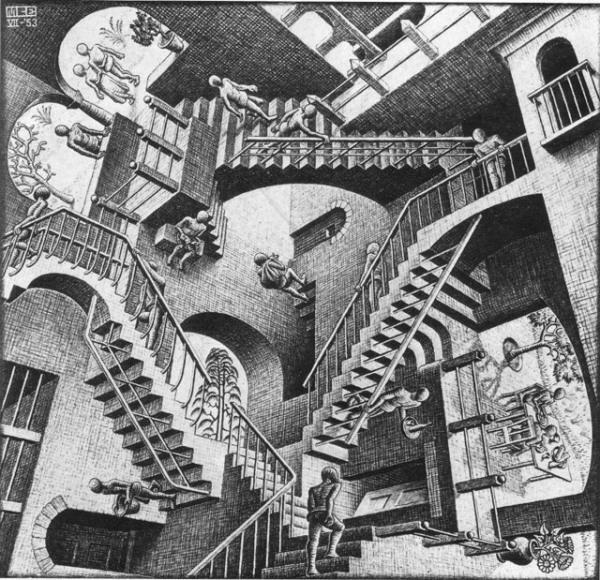 Escher is a known illusionist, but his illusions are also Surreal, not only deceptive. Femke Hiemstra is a contemporary Pop Surrealist, who paints following the tradition of tryptich, but in a completely pop-kitschy way. Francesca Romana di Nunzio is known for her beautiful surreal sculptures, such as this winged head. 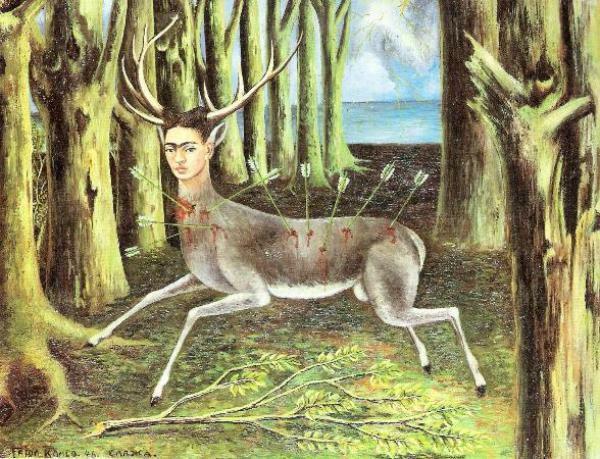 Painting her tragic destiny whole of her life, Frida here depicts herself as a wounded woodland animal, in a completely surreal environment. 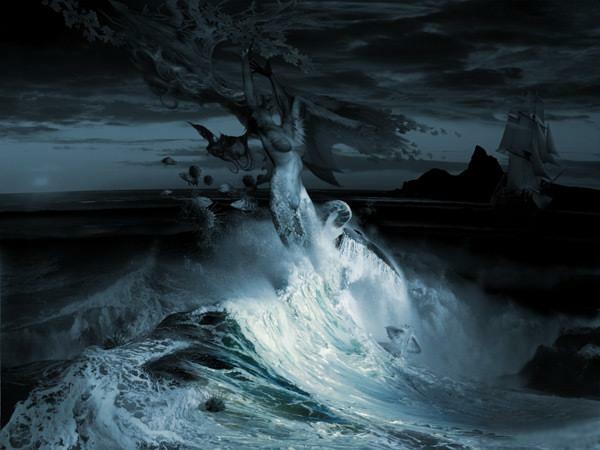 George Grie is a Pop Surrealist whose sea scene oozes oneiric and gloomy atmosphere. Henry Darger spent his life as a janitor by day, and as a painter and inventor of a whole another realm where the Vivian Girls rule. 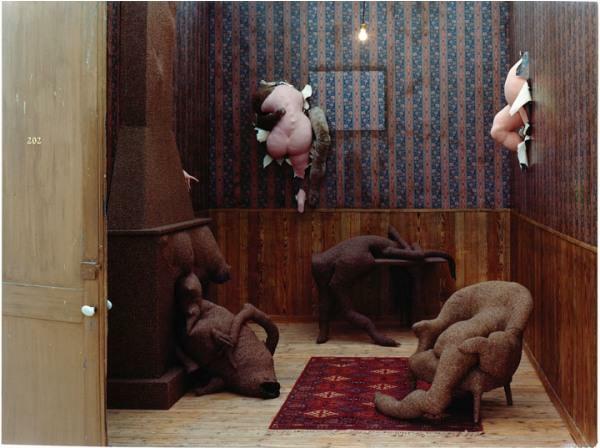 He’s one of the brightest examples of Outsider Art. 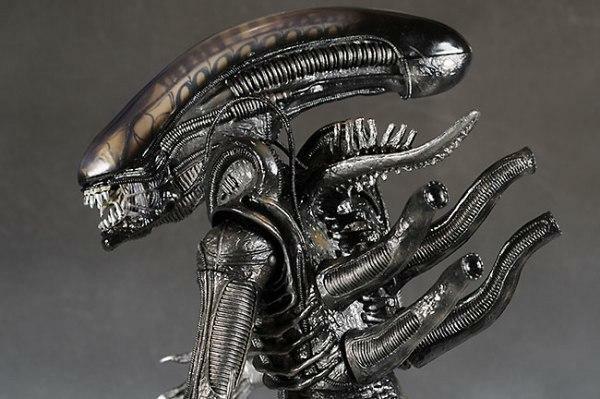 Recently deceased, HR Giger was famous as the inventor of Alien visual identity. 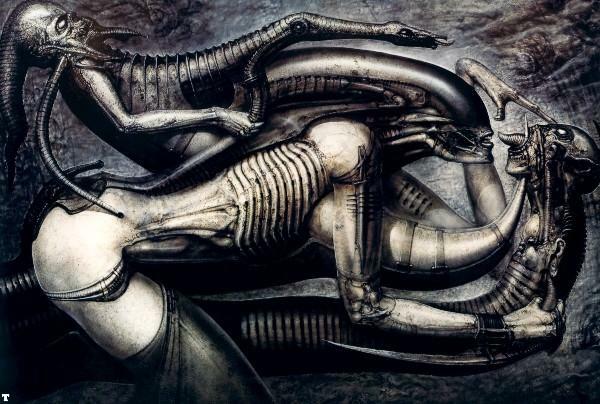 He also made a lot of paintings, drawings and prints in the same sci-fi style. 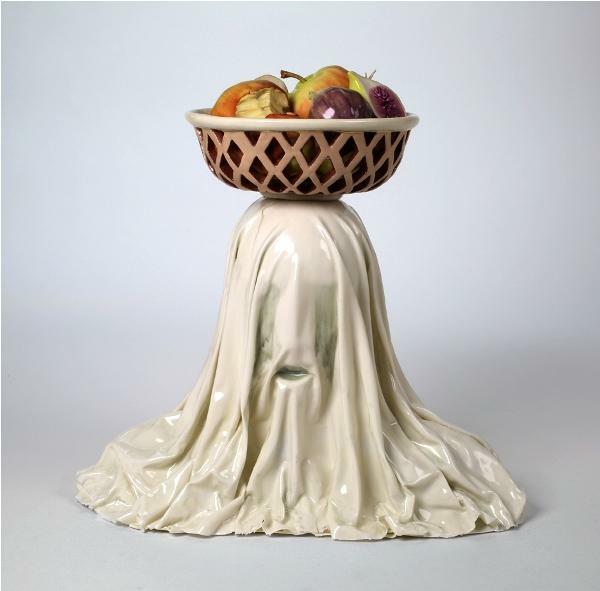 Jessica Stoller makes wonderful and unexpected surreal sculptures, with a polished and aesthetized surface. 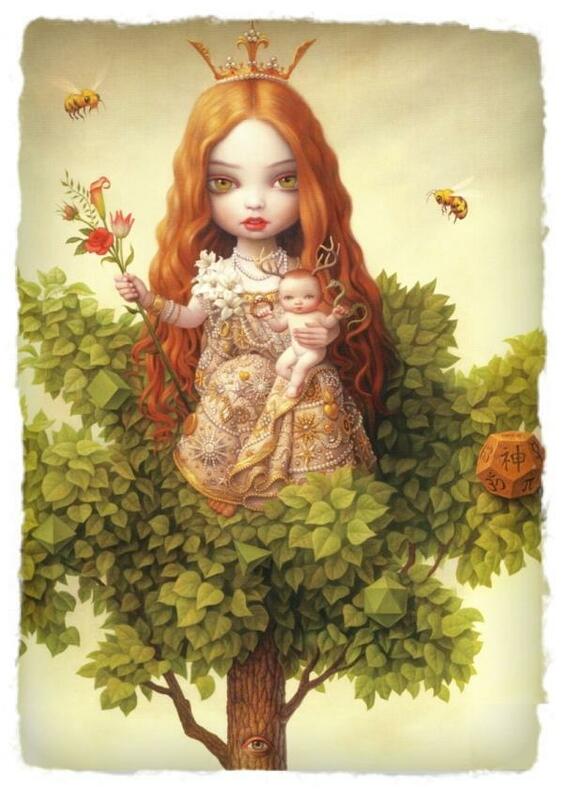 Mark Ryden is one of the most famous Pop Surrealists. 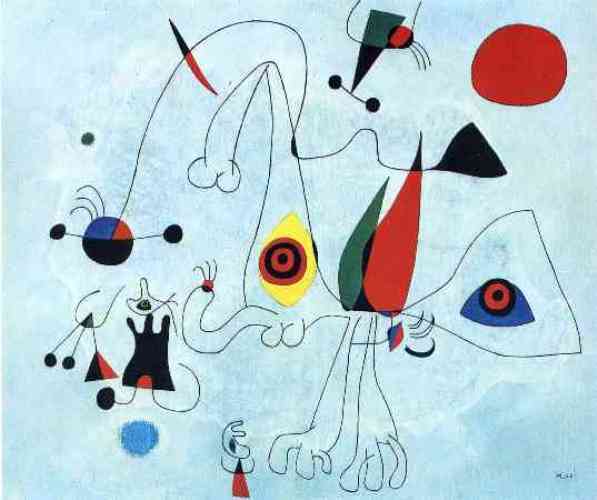 Miro was one of the most important representatives of Surrealism, known for his microcosmic depictions. 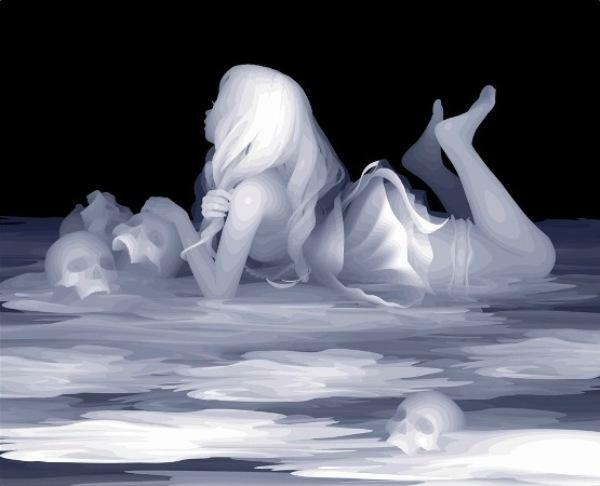 Kazuki Takamatsu makes monochrome, macabre shadowy scenes. 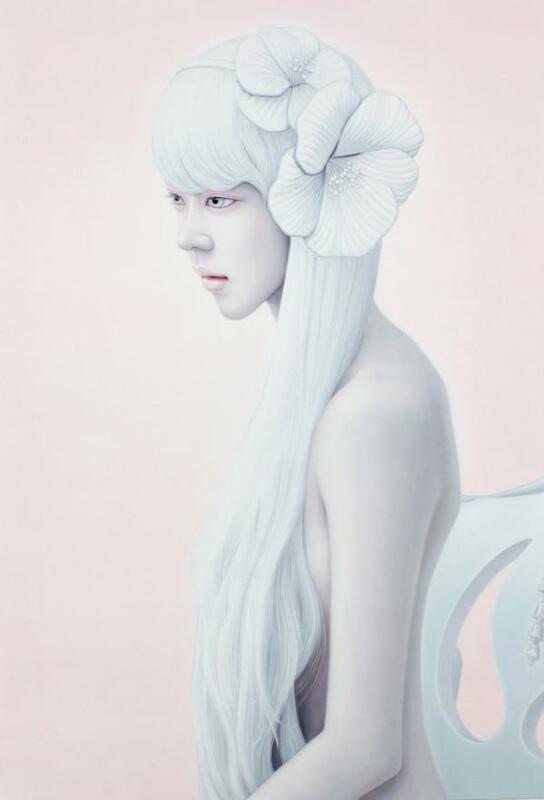 Korean artist Kwon Kyungyup is known for his pale, unreal portraits of imaginary women. 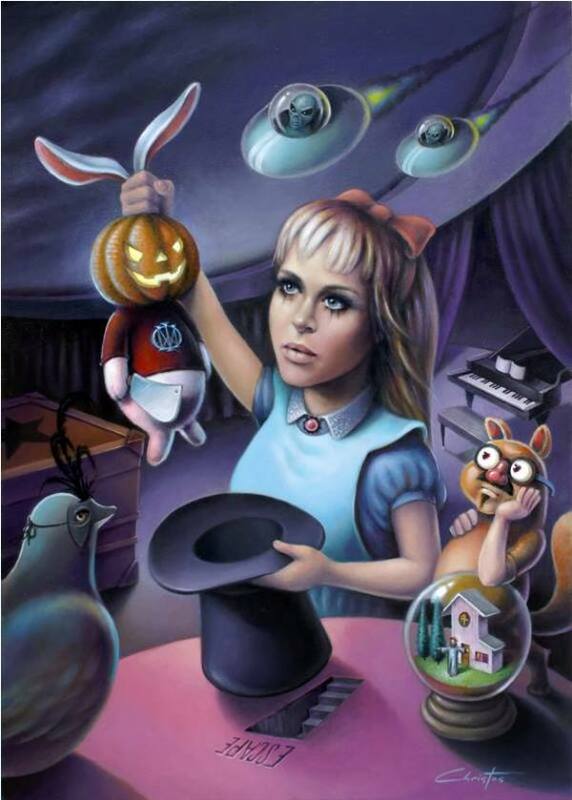 Leslie Ditto, like many Pop Surrealists, delves into the world of Alice in the Wonderland. Madeline von Foerster makes numerous references to classic painting and themes in her surreal artwork. 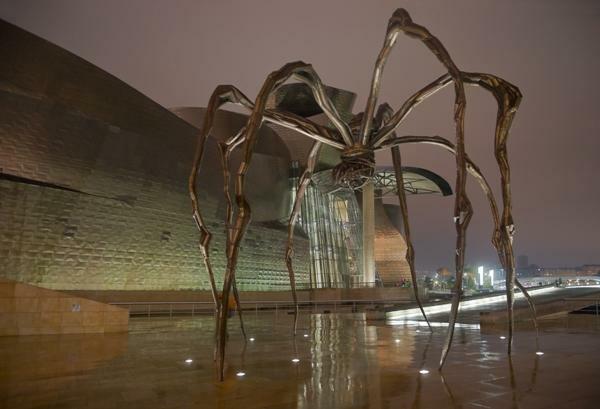 Louise Bourgeois is also the post-war follower of Surrealism, while she made fantastic large scale sculptures, such as this one placed in front of the Guggenheim Museum in Bilbao. 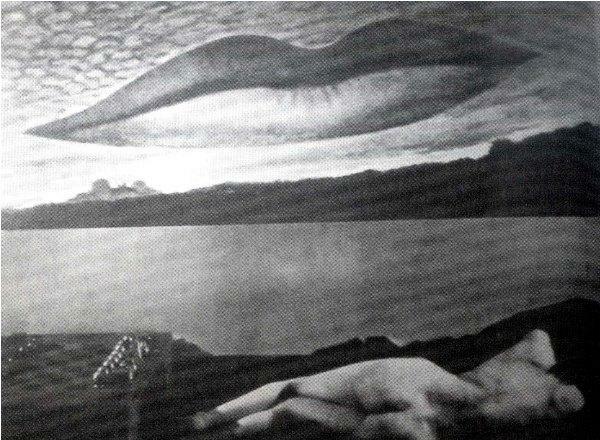 Man Ray was the original Surrealist, known for his photo-montage and paintings as well. Ryden’s ode to the meat dress, once worn by Lady Gaga in reality. Ryden’s interpretation of heaven, derivative from the biblical topics. Max Ernst was one of the most innovative Surrealists of the early 20th century, revered for his paintings and collages as well. 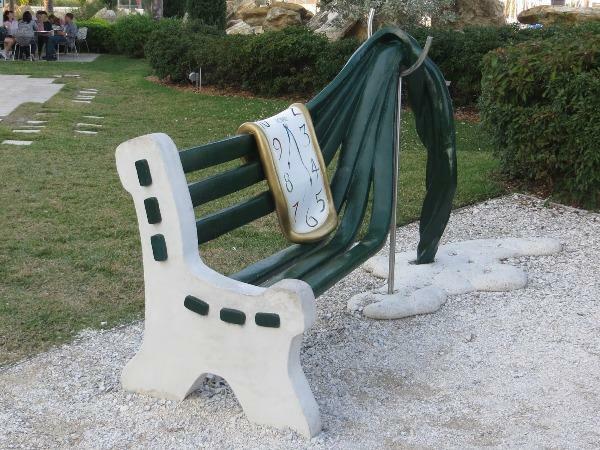 Dali is so famous, that a museum in Florida made this surreal sculpture in his honor. Peter Ferguson is a contemporary painter, who often paints extinct large animals in normal, everyday situations amongst people. 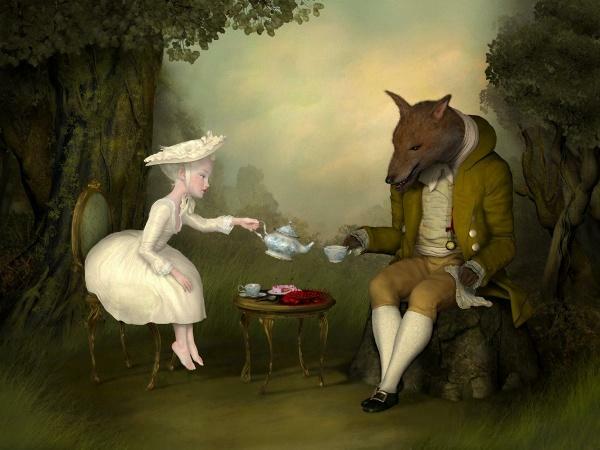 Ray Caesar paints, in a very realistic way, interpretations of fairy tales from a particular vantage point. 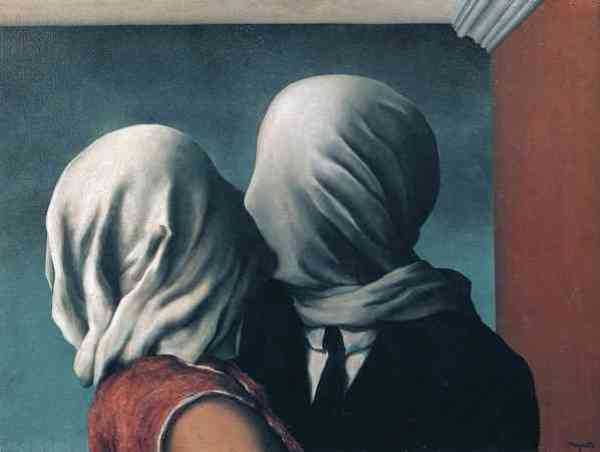 Rene Magritte is one of the most famous Surrealists, who was obsessed with painting fabric over human faces, as he did in his iconic painting “The Lovers”. Roberto Matta stayed true to Surrealism, even after it was greatly abandoned and not trendy. 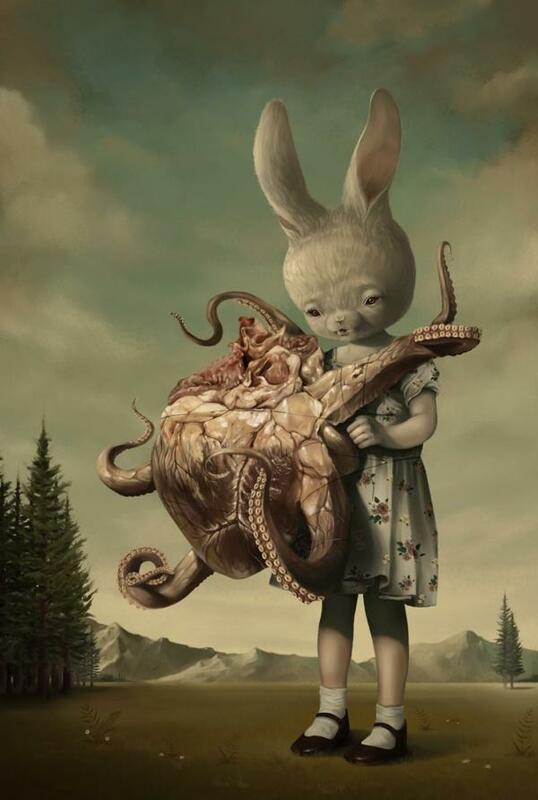 This depiction of Rabbit and the oddity by Roby Dwi Antono is the typical example of Pop Surrealism. 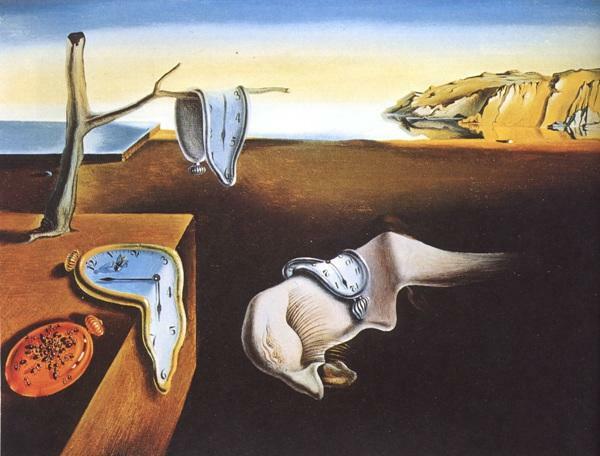 One of Dali’s most iconic and most famous paintings, representing the passage of time and its irony. A duo made of set designer and digital artist Ransom and director-photographer Mitchell creates Surreal Art in their San Francisco studio. 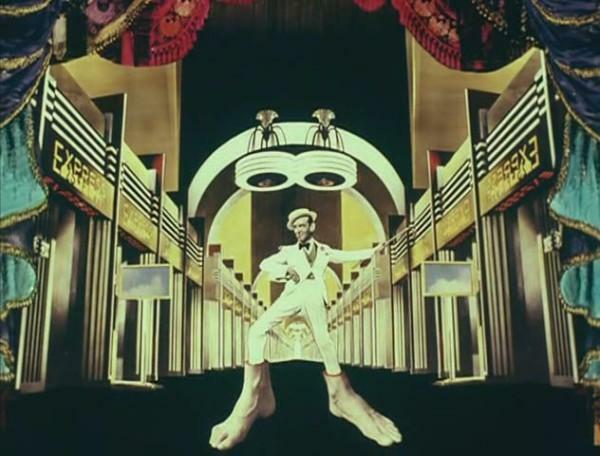 The figure behind the Monty Python’s phenomenal animations is Terry Gilliam, a brilliant artist, movie director and Surrealist. 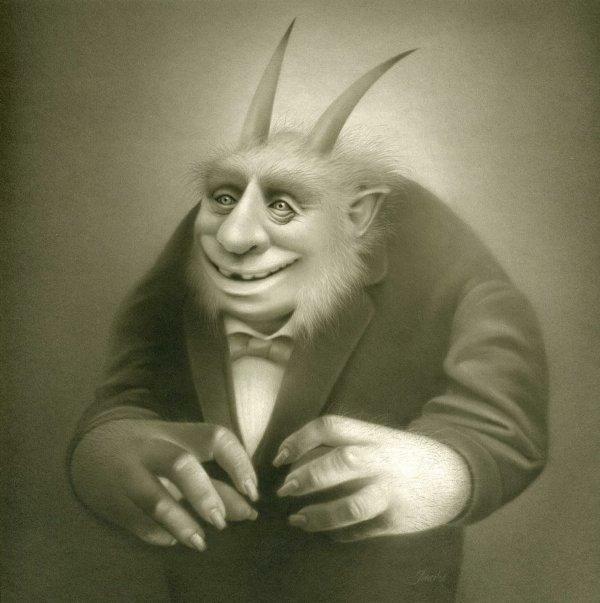 Travis a Louie plays with notions of old photographs, but makes his subjects odd, monster-like and not human. 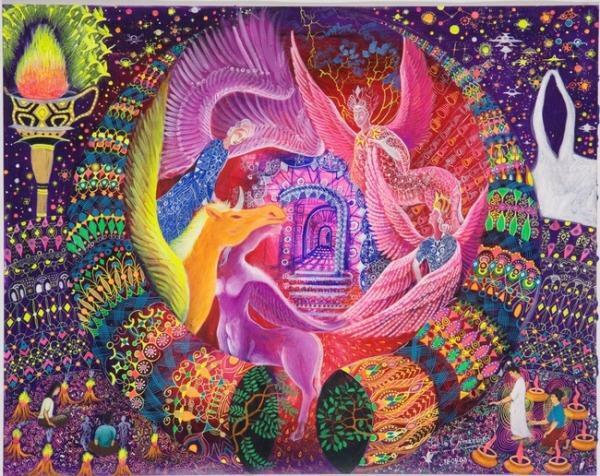 Abundance of color used by Pablo Amaringo places this painter in the middle of Psychodelic art. 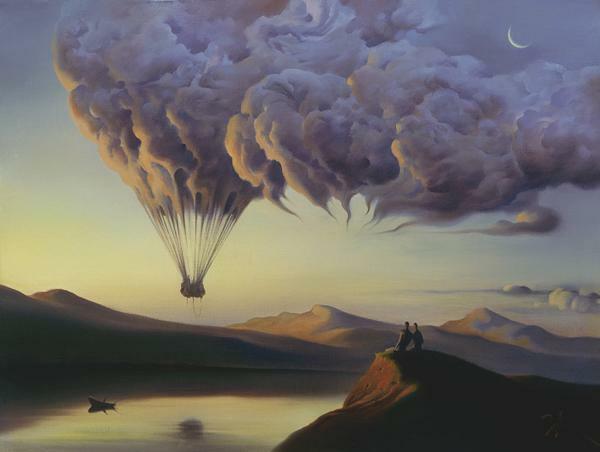 Vladimir Kush is a contemporary Surrealist, one of the most typical examples of the style today. 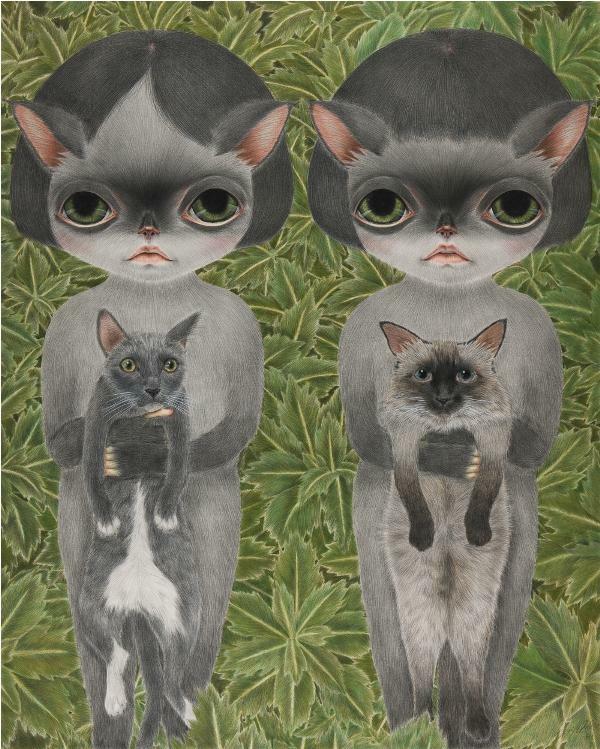 Korean artist Yu Jin Sung renders mixtures of humans and animals, placing them in accessible, likeable positions and situations. Yves Tanguy was one of the most important Surrealists in the movement. Ukrainian street art duo Interesni Kazki creates surreal art murals and paintings, while referencing gothic, contemporary and imagined imagery.